Bored of the same old ethnic wear in your closet? We came upon Raas on Allenby Road which is making dresses that sit outside the box but would love a space in your wardrobe. There's not a lot of variation when it comes to traditional clothes but what you can change is the fabric, the cuts, the style and colours. Raas is playing really well with all these factors. Prints under plains, asymmetrical cuts, cool embroideries - they have it all. Their clothes give a feel of Indo-Western, with a heavier slant on the Indian part. The embroideries are absolutely on point with beads and floral work. The cuts are another plus with open backs and pretty necklines. The sarees are all eye-catching and unique - they take various fabrics and materials and sew them all into a beautiful piece. If you want something customised, they can do that as well. Hit their store up, they have some really pretty fabrics that you might want to use for your own designs. They usually take about three weeks or more to customise and ready orders. We absolutely love their readymade collection, but we would have liked some more things on the plate of choices. 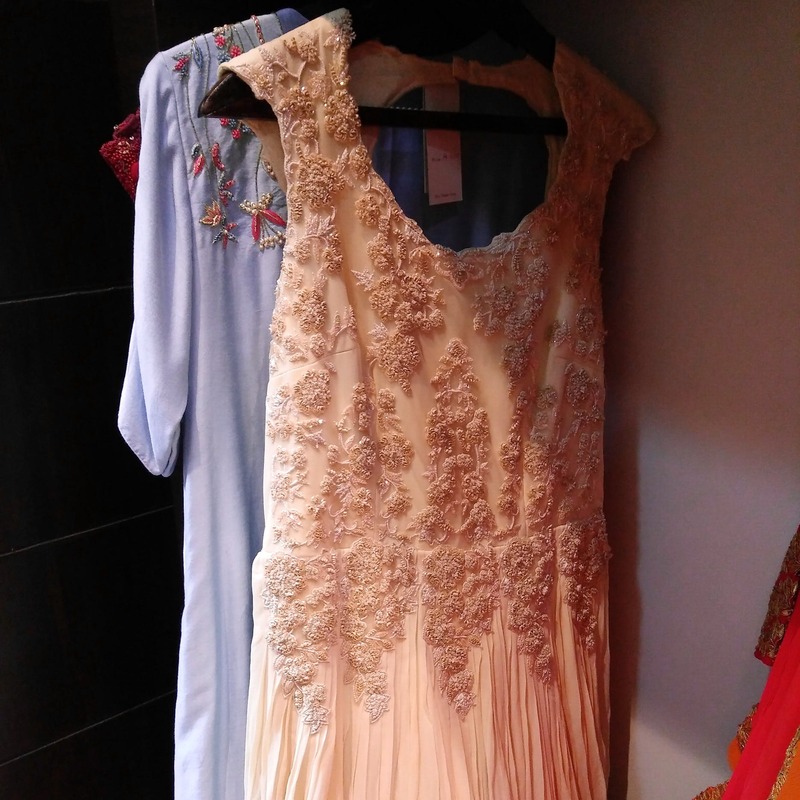 They have also started a bridal range -so for your big day, hit up Raas for a gorgeous outfit.